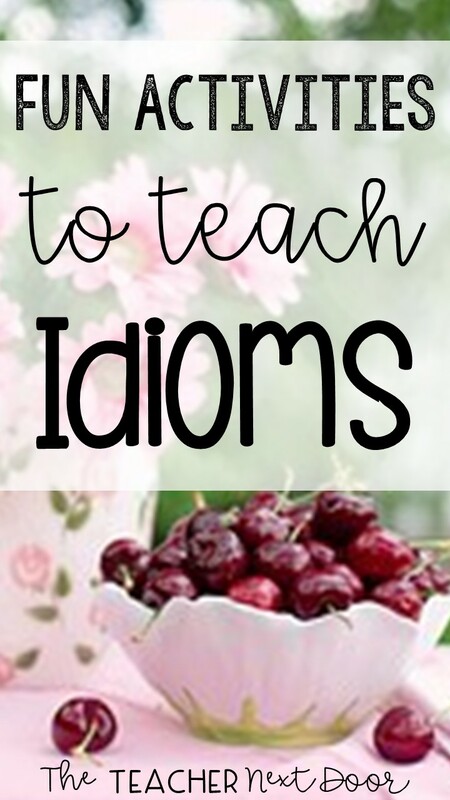 I always look forward to teaching figurative language in my classroom, and idioms in particular. 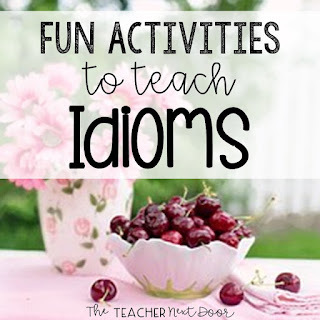 Students get such a kick (note the idiom here) talking about and learning new idioms and we really enjoy doing some fun activities to help kids build a stronger language base. I like to put a list on the smart board or you could also give kids a list of idioms. 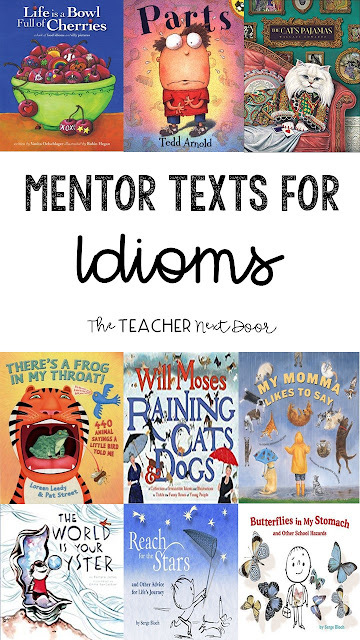 After having students discuss these in pairs or small groups, we meet as a class to go over any idioms that they don't yet know. 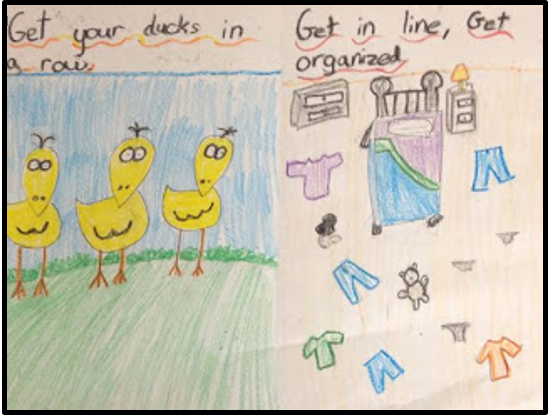 I pass out paper and kids choose an idiom, draw the literal meaning on one side (what it sounds like it means) and the figurative meaning on the other side (what it really means). 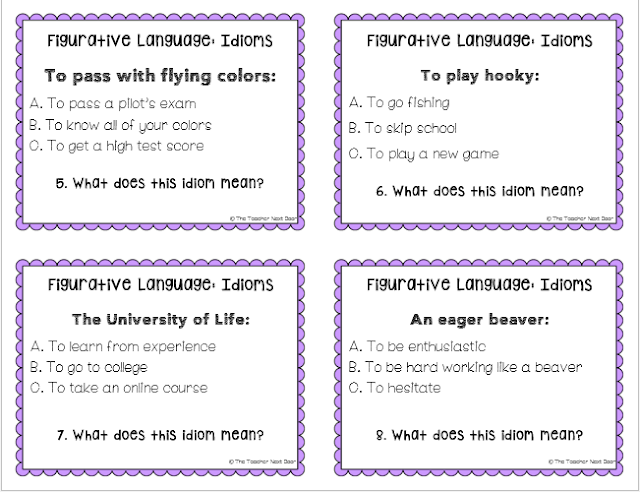 I give each small group of kids an idiom to act out in front of the class, while the class tries to guess the idiom shown. 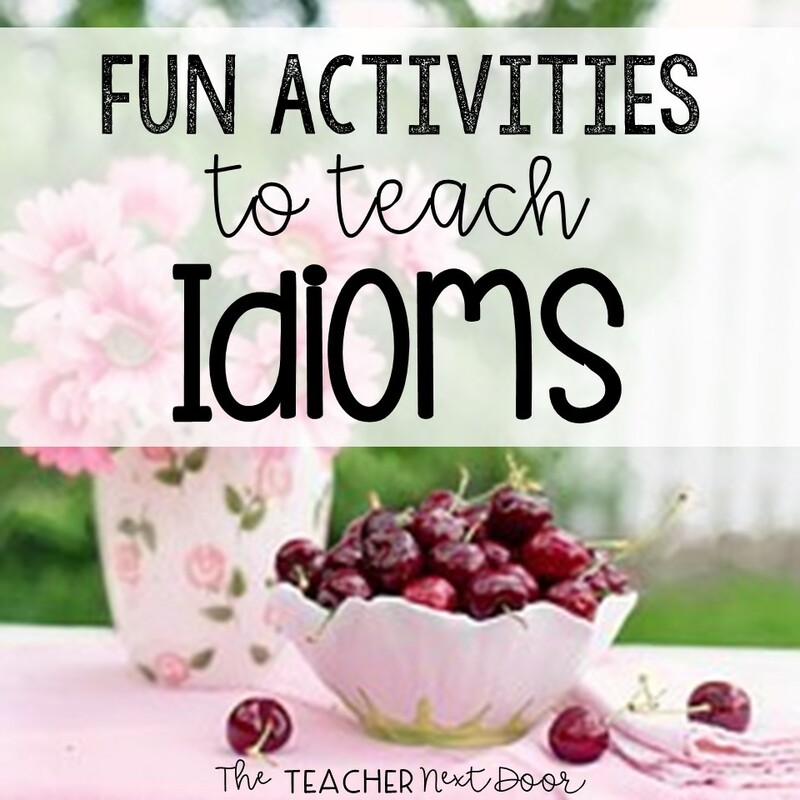 This is lots of fun and most kids enjoy the chance to ham it up in front of their friends. 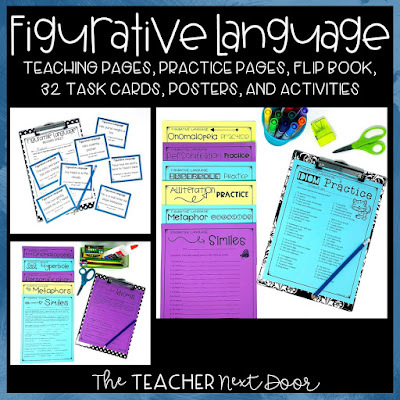 This is great for those spare five minutes for transition times, right before recess or in between two big activities. 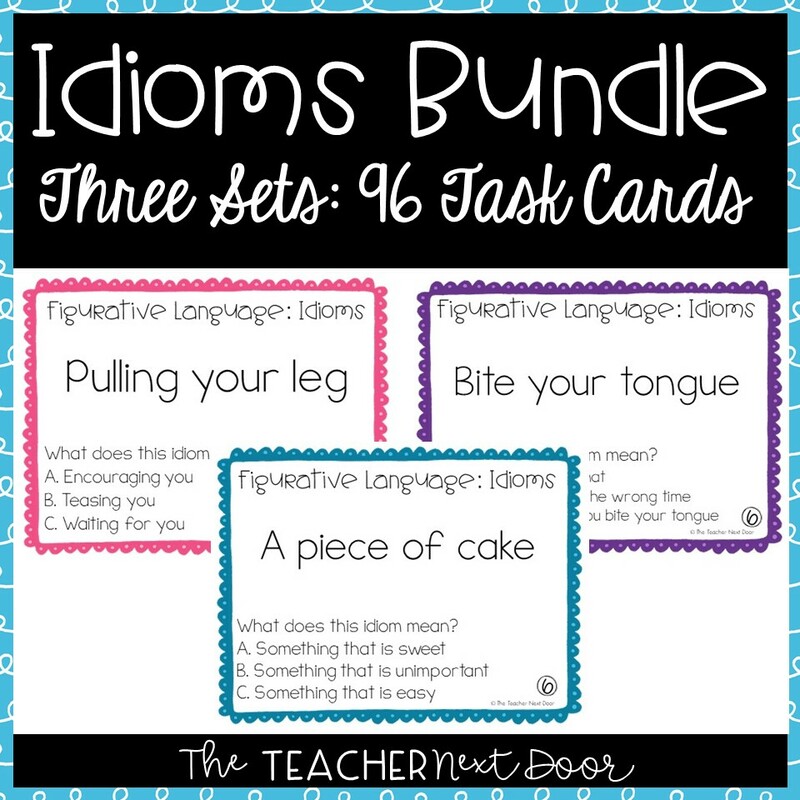 I like to have a set of idioms on cards or you could do slips of paper. Then I pull out one of these randomly and we discuss it as a class. For example, we might discuss the idiom, "Don't judge a book by its cover." Is this true all of the time? Are there times when we should judge someone or something by the way it looks? If so, when? I really enjoy getting the kids so involved in discussions like this and it is amazing how passionate and how insightful kids can be at such a young age. Plus, while we're discussing, they're adding to their idiom repertoire! 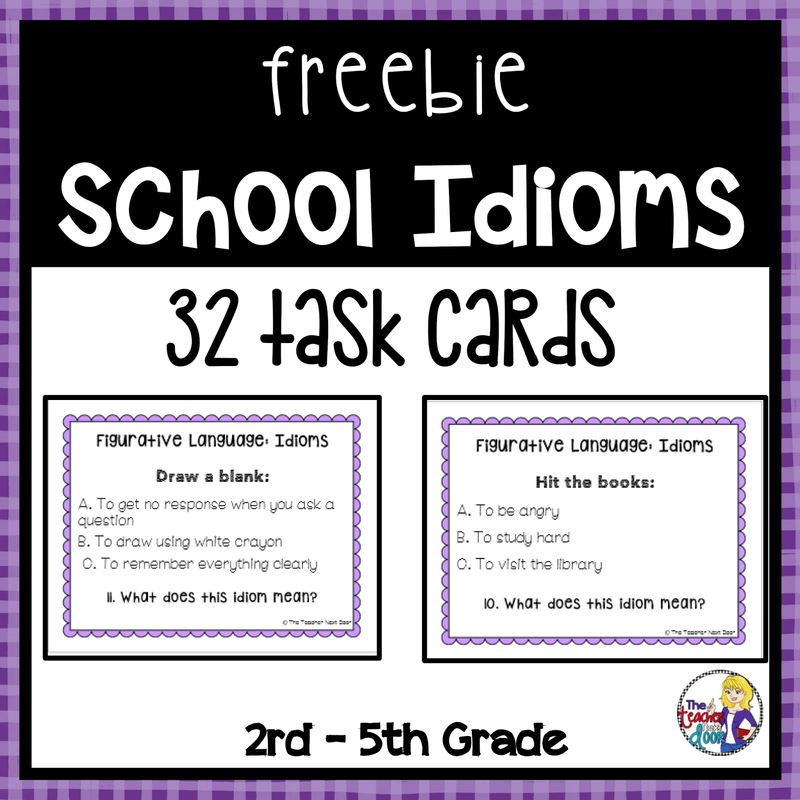 After you have quickly made a set of idioms on one set of cards and their meanings on another set of cards, shuffle these and hand them out. Students can find their idioms match and then share out. 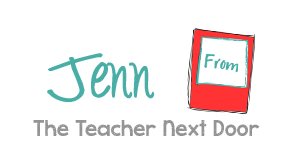 You can also use this as an introductory activity if you'd like an easy way to randomly match pairs. 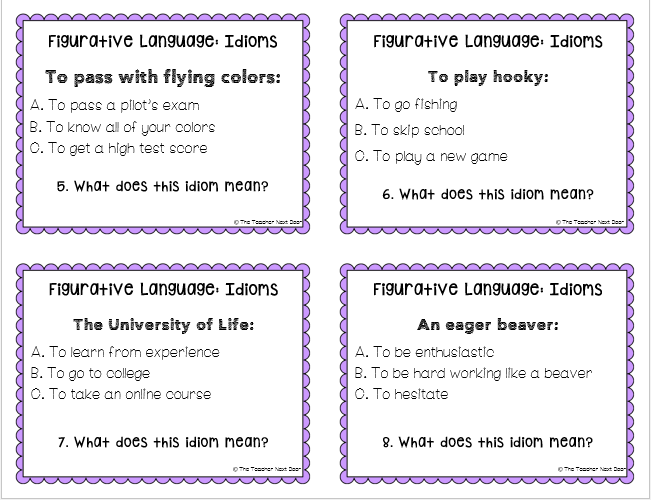 Another idea is to use these cards in a center or as a fast finisher activity, as a game of concentration. Task cards work so well for so many concepts. 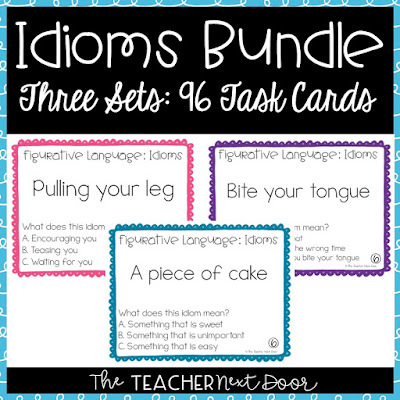 They are great for teaching idioms too! 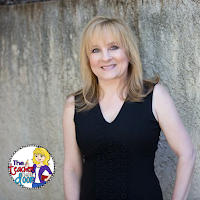 You can use them at a center, for one on one practice (perfect for ELL kids), as a partner or small group activity, as a whole class lesson or a game of Scoot. 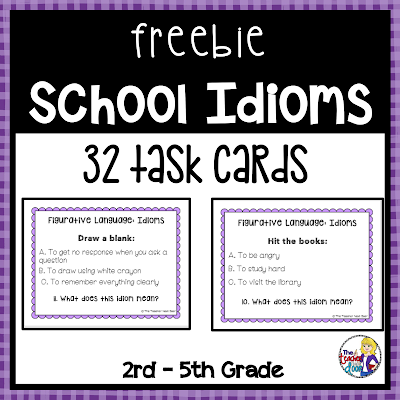 If you'd like a free set of 32 School Idiom Task Cards, click here to grab them at my TpT store.